Kathy Beezley – Essex Realty Management, Inc.
Kathy Beezley is the Project Controller for Essex. In this role, Ms. Beezley supervises our accounting department and demands excellence from her entire team. The accounting team is very positively influenced by her dedication, experience, and caring nature. In addition, our clients benefit from her thirty plus years of institutional level accounting experience. 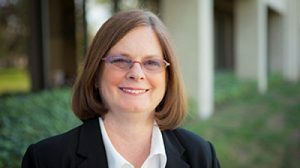 Prior to joining Essex in 2001, Ms. Beezley was an Accounting Manager with The Irvine Company where she oversaw the accounting functions provided by the third party property management companies working with the firm. In her role, she was responsible for the internal budgeting, forecasting and reporting of a diverse multi-million square foot real estate portfolio that included retail, office, industrial, ground leases, and common area associations. © Copyright - Essex Realty Management, Inc.